After posting a full line-up of all body kits available for the MK1 TT, I have been asked: “What about Wide Body Kits?”. Good question! The widebody kits were once available but in limited quantities. At the end of 2010, with the MK2 TT bieng the primary focus, these widebody MK1 kits are very hard to find. But if you search forums, you will find enthousiasts that are selling their kits. I did find a few, some with kits still in the box! [January 2011 Update] DMC Concept is about to launch a new wide body kit for the mk1 TT! See here: DMC Concept Wide Body Kit. As a result of extensive wind tunnel tests, the Abt specialists from Kempten have established an aerodynamic kit which results into more downforce and therefore, a better road-holding with the TT Wide Body. At the Nurburgring, Laurent Aiello has scored two brilliant victories for the Team Abt Sportsline with the Hasseroder-yellow Abt-Audi TT-R. This TT Wide Body not only shares the front spoilers and the extended fenders with the race car, but also the side skirts, a rear wing and a complicated diffuser, which gives downforce at the rear. Several carbonfibre parts also add to the feeling. of the type A27. ContiSportContact tyres with 235/35 size have been mounted on the front wheels, 275/30 tyres on the rear wheels. For the road the ride height of the Abt TT is lowered by 1.6 in (40 mm) compared to the standard model. The Abt sports team put a lot of racing knowledge into the TT: a sport suspension with stronger anti-roll bars, sports brakes, a safety bar made of polished aluminium, and a single windscreen wiper . The full widebody kit were made of Carbon fibre and Pliable FRP (PFRP) and FRP. The fender pieces are all full replacements along with the front and rear bumpers. Although the front track is actually wider than the rear by 20mm, the kit was designed for the quattro, FWD, Coupe and Roadster models. This particular droptop model was painted in bright orange, rolling on 19×10″ Work S3 wheels in the front with 255/30/19 and 19×11″ at the back with 285/30/19. Watch this car on YouTube. This car is a copy of the real DTM (Deutsche Tourenwagen Masters) track car. Original! 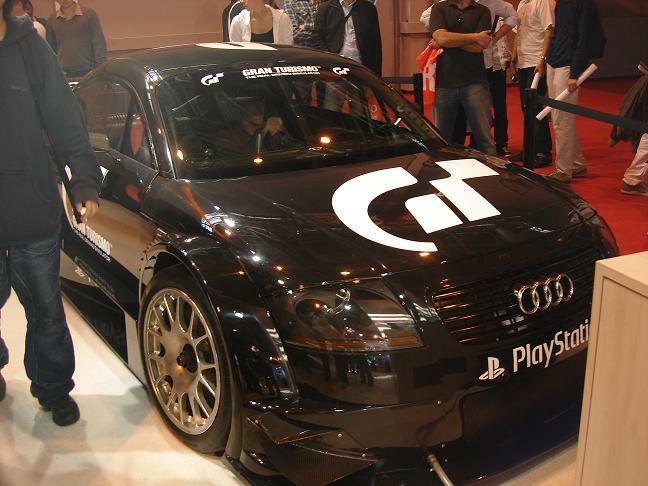 This DTM TT has been modified as a Playstation Gran Turismo 5 simulator. Watch this car on here or here. 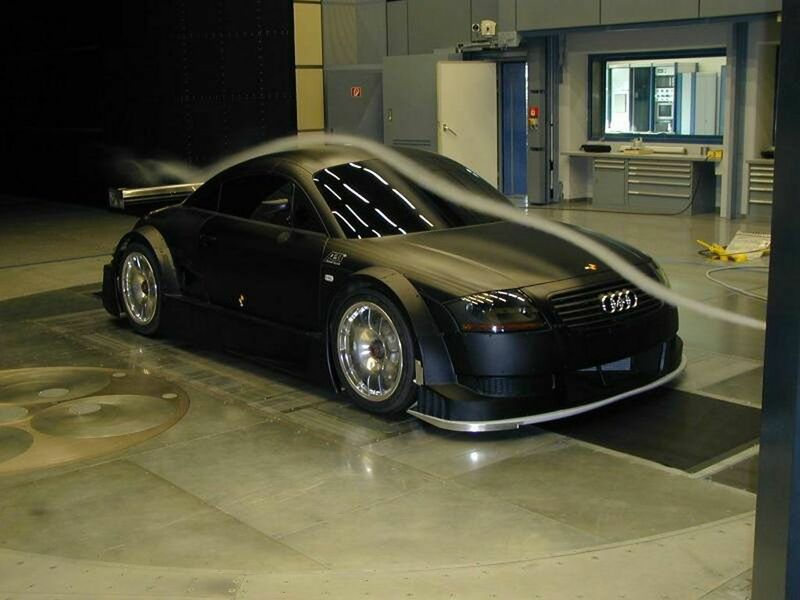 This entry was posted in Audi TT MK1 and tagged Body Kit, DTM, track, Wide Body Kit. Bookmark the permalink. Hi I have one of these wide body cars really nice abt wide body limited edition 310 bhp in imolla yellow, i am missing the two front carbon defusers also the yellow bottom door trim with limited on it has some damage, also the pasengers carbon side skirt has some damage any idea where i can get these parts from?? cheers simon. Very nice! Send me pictures! These parts are unfortunately not available as new anymore. You will have to search forums and enthousiast websites and wait for the parts to show up. I would also contact ABT and let them know you are looking for parts. If you’re lucky, they may know someone parting out his car. Another option is to have them made by a specialist. Ask Maurice at DMC for advise. PM me for his email. 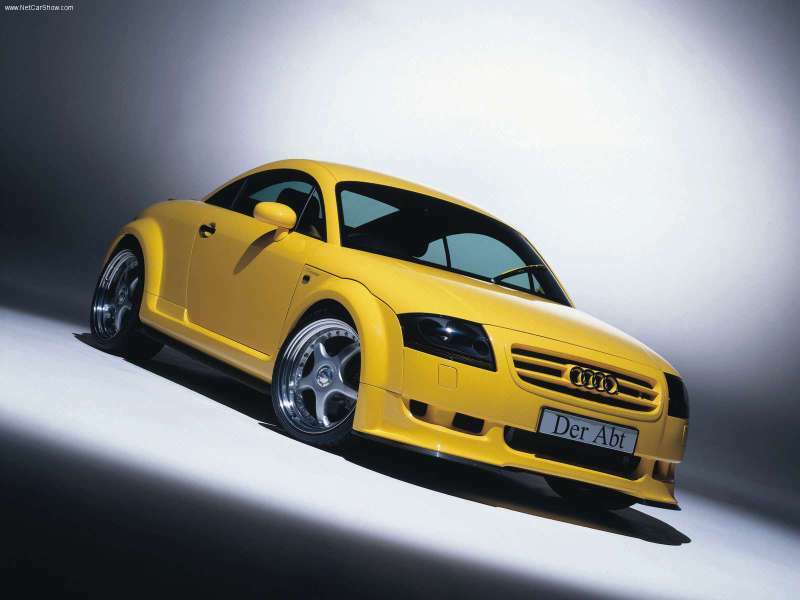 I have seen the article and could not have resisted to myself to write each other, you will see, I have an Audi TT (8N) 3.2 V6 Quattro coupe and I would like knowing if the this kit is home-made or some company commercializes it, since I love how it stays in the car and I believe that mine would have left brilliant, of being commercialized by some company. Might you facilitate any contact method to me to be able to speak with them?